Debt and bad credit can happen to the best of us. Life’s unpleasant surprises — medical emergencies, job layoffs or a death in the family — put millions of Americans in difficult and seemingly hopeless situations. Sometimes bankruptcy isn’t enough — even if you discharge your debts, you might not be able to maintain the same quality of life you once had. In cases like these, a fresh start in a new town may be just what you need. After scouring data from the Census Bureau, Bureau of Labor Statistics (“Economy at a Glance” and OES), BestPlaces.net and Forbes, we found 10 cities that offer residents the best chance to build financial security, regardless of their past mistakes or misfortunes. Need help moving to a new place? Consider taking out a personal loan until you settle down in your new home. 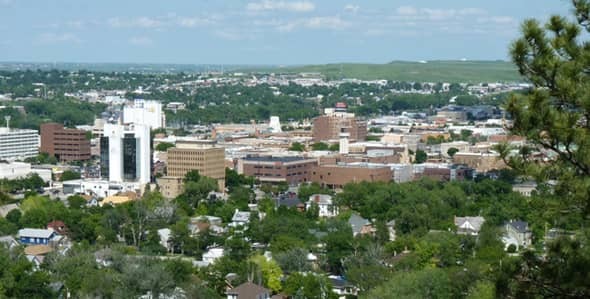 Nestled in Montana’s magnificent mountains, Billings was one of the few cities in the U.S. to survive the the 2007 economic meltdown relatively unscathed — which is no surprise, considering its strong labor market supported by booming oil, coal, health care and agricultural business in the area. 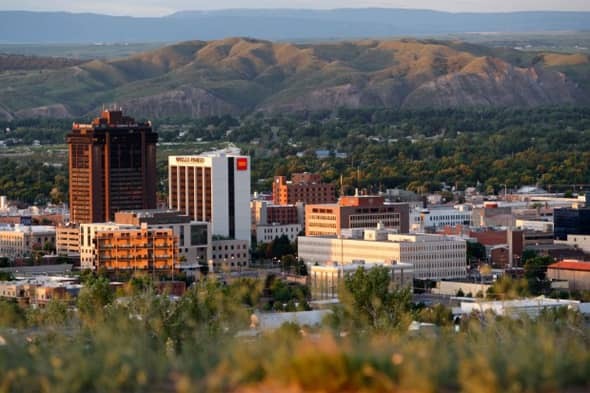 With recent advancements and discoveries in the shale oil industry, Billings is poised to grow considerably for the foreseeable future, offering new residents plenty of opportunities to grow and prosper. Just a few miles away from Mount Rushmore and the Crazy Horse Memorial, Rapid City is a bustling yet humble town that ranks number nine on our list. The town got its start after General Custer’s 1874 expedition discovered gold in the nearby Black Hills, but today its residents and economy thrive due to a heavy military presence in the area along with plenty of attractive tourism opportunities nearby. 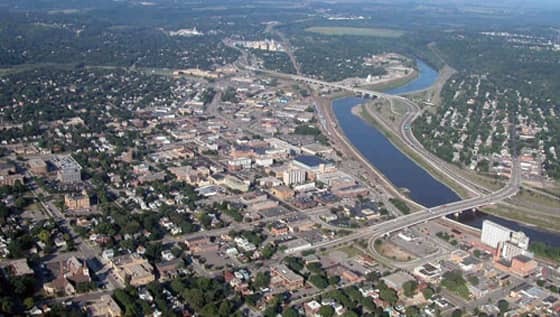 Situated near the confluence of the Minnesota and Blue Earth Rivers, The Mankato-North Mankato metropolitan area might be quiet compared to America’s large cities, but a low cost of living and unemployment rate simply can’t be beat. Thanks to the Mayo Clinic Healthy System and Minnesota State University, there are plenty of opportunities for newcomers to find work and start their financial lives anew. 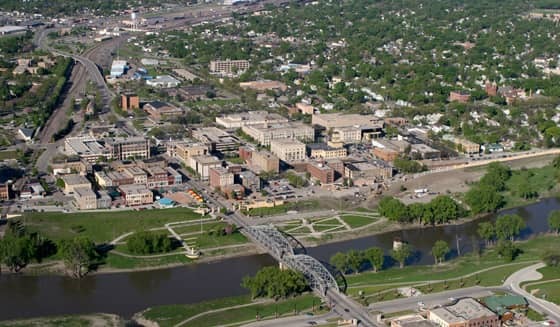 After Fargo and Bismarck, Grand Forks is the third largest city in North Dakota. 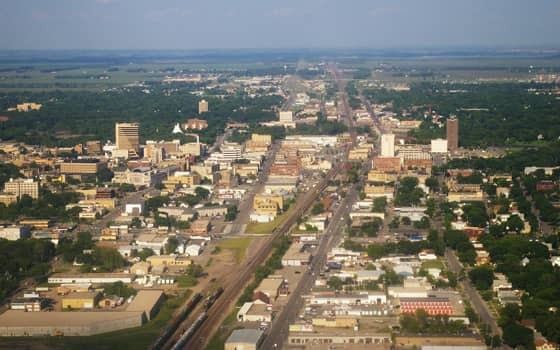 Its residents have access to a variety of activities thanks to multiple art and culture venues, the state’s largest university and natural resources that include the winding Red River and sprawling Red River Valley. While the town got its start through the fur and agriculture trades, Grand Forks has boomed in the past century to include colleges, military, manufacturing, research and more. Not only is Lincoln, Nebraska, number seven on our list, but it also was the CDC’s healthiest city in 2007 and the number one “happiest and healthiest” city in the U.S. in 2013. 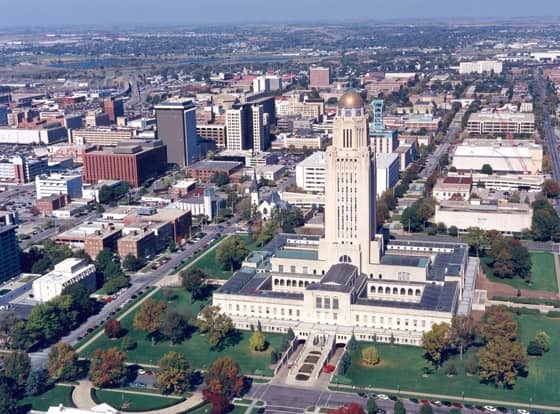 It’s no wonder the residents are so well off in the capital city of Nebraska — with plenty of greenspace, nightlife, cultural activities and job opportunities, Lincolnites have one of the best qualities of life in the entire U.S. 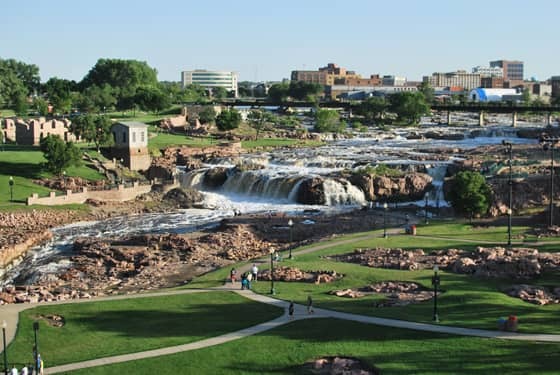 The largest in South Dakota, Sioux Falls also was one of the fastest growing cities in the U.S., according to 2007 Census Bureau data. The city continues to grow today, providing plenty of growth and job opportunities for the roughly 250,000 residents who live in the metropolitan area. Newcomers can find work in the city’s burgeoning health care, finance, retail and hospitality industries and actually enjoy their paychecks, thanks to a comfortably low cost of living. 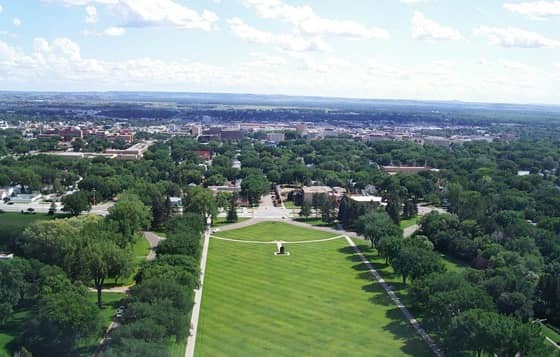 The capitol city of North Dakota, Bismarck is home to six higher education institutions, a wealth of outdoor receational opportunities and Kirkwood Mall, the second largest mall in the state. In 2007, Bismarck residents set the world record for the most snow angels made in one place (8,962!). When they’re not breaking records, many residents are hard at work in the city’s bustling health care or education sector or spending time enjoying the scenery of Fort Abraham Lincoln State Park. More than just a quirky murder mystery film, Fargo, North Dakota, is the largest city in the state, boasting a thriving community of more than 100,000 people who have some of the best living in the country. While Fargo is cold most of the year, the city’s economy remains red hot due to support from employers like Sanford Health, North Dakota State University and plenty of other businesses in the manufacturing, tech, retail and agriculture sectors. 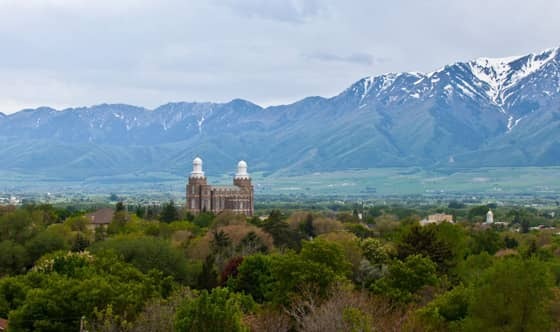 Located near the foot of the Bear River Mountains, Logan, Utah, ranks number two on our list thanks to its low cost of living, healthy job market and its attractive average salary. Some highlights of Logan include the Utah Festival Opera, Utah State University, the Logan River and top-notch architecture developed by local Mormon groups. 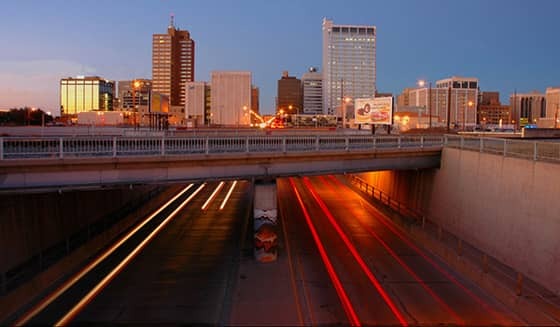 Most people know Midland, Texas, as the home of former Presidents George H.W. Bush and George W. Bush, but the city has a vibrant arts scene, plenty of historic automobile/aircraft museums, minor league sports and much more. However, few cities can match the growth, job prospects and affordability of Midland — all excellent reasons why The Tall City is the best place in the U.S. for a fresh financial start. 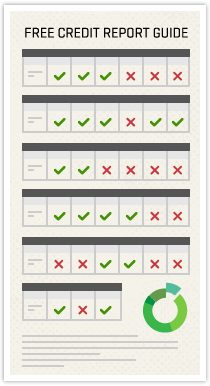 Will Being in the Military Improve Your Creditworthiness? Can Military Service Boost My Credit Rating?